July is National Picnic Month and there’s no better way to celebrate than by traveling to a new picnic destination in your Fretz RV. However, the perfect picnic requires some simple picnic essentials. The following supplies are ones you won’t want to forget when celebrating National Picnic Month. A checklist is a must-have picnic item. It’s what ensures your picnic is enjoyable and stress-free from start to finish. 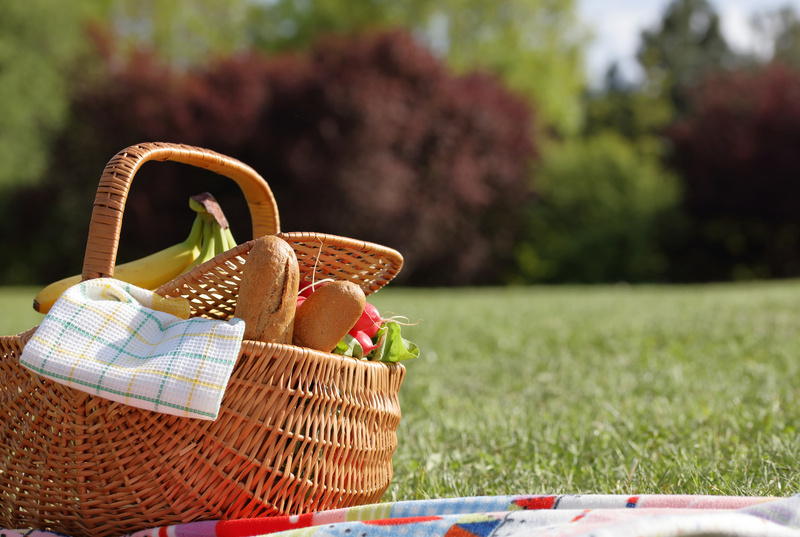 Be sure to include all of the ingredients you’ll need for your meal, utensils, drinks, napkins, ice packs and other items your picnic requires in your list, so you’re not left running to the store when you could be enjoying an afternoon with your family and friends. It’s easy to remember the items that will make your picnic fun, but you don’t want to forget the essentials either. Be sure to pack trash bags, so you can leave the campsite or picnic location cleaner than you found it. The summer sun and rising temperatures mean it’s time to take cover in the heat of the day. Our Fretz RV accessory store is loaded with everything from awnings to vacation rooms and other shade options to help you stay cool while enjoying your picnics during National Picnic Month and throughout the season. Every picnic deserves the perfect picnic tote. Be sure to keep a large tote or backpack in your RV for loading up your supplies and heading to your favorite spot to enjoy a meal in the great outdoors. In addition to tote, you’ll want to pack a cooler with your favorite drinks, fruits, vegetables and other cold food items, so you enjoy a meal that’s as fresh as it would be in the convenience of your RV. Start the summer off right by shopping our huge selection of the latest and greatest RVs, RV accessories and camping supplies right here at Fretz RV.